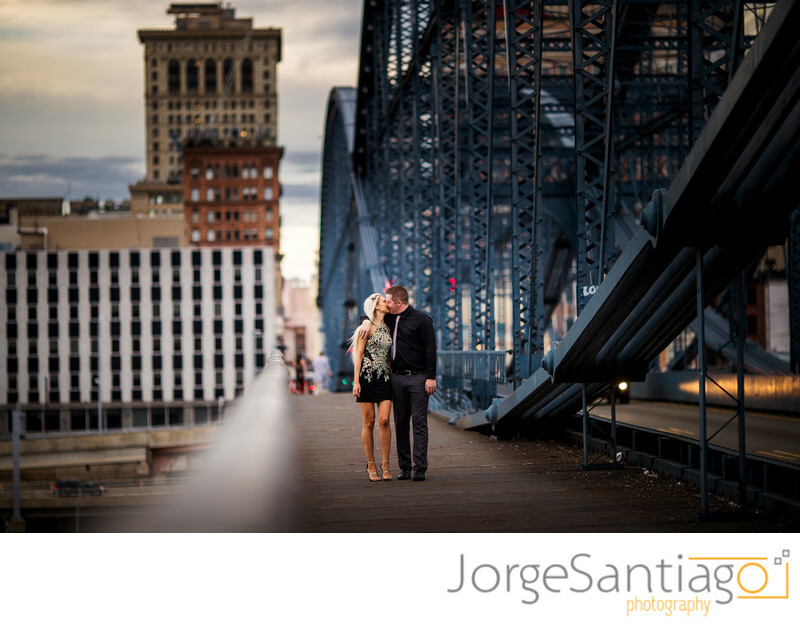 One of the most dynamic locations in Pittsburgh for engagement photos is the Smithfield Street Bridge. The bridge provides stunning backdrops for engament and wedding portraits. In the photo Michelle and Paul celebrate their engagement.